Pigeon Forge, Tennessee military reunions are unique events made special by the bond among veterans who have served together. This city is the perfect place to host military reunions and we’re here to help you. During Celebrate Freedom, military veterans, National Guard, firefighters, law enforcement and emergency medical personnel will be able to receive discounts from various businesses. This special event runs throughout the whole month of August. Discounts can be found at several hotels, restaurants, and stores. 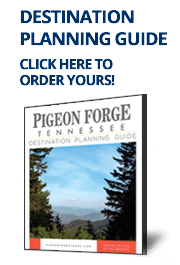 To be eligible please present proof of service at the Pigeon Forge Welcome Center and you will receive a Celebrate Freedom VIP card recognized by all participating businesses. Patriot Park hosts the annual Patriot Festival every year in celebration of July 4th. Patriot Fest is an American celebration that culminates in a wonderful display of fireworks. Pigeon Forge, Tennessee military reunions can easily be a part of any of these celebrations. Don’t forget to check out the County Memorial dedicated to the veterans of Sevier County. It is located on Old Mill Ave in Patriot Park. Along with all the great attractions that Pigeon Forge has to offer.